Why did the FDA issue this warning? There is no valid scientific data to demonstrate that thermography devices, when used on their own or with another diagnostic test, are an effective screening tool for any medical condition including the early detection of breast cancer or other diseases and health conditions. Regardless, there are still facilities that make unsupported and inaccurate claims about the benefits of thermography for breast cancer screening. These include claims that thermography can detect breast cancer earlier than other methods, that it does so effectively and more safely, and that it is superior for detecting cancer in dense breasts. The FDA notes, however, that none of these claims are supported by valid scientific evidence. What is the most effective way to detect breast cancer in its earliest stages? Low-dose breast tomosynthesis, more commonly known as 3-D mammography, is the current gold standard for early breast cancer detection. Using a radiation dose similar to a traditional digital mammogram, breast tomosynthesis captures many more images of the breast and synthesizes them into a single three-dimensional image, which the radiologist can then examine in detail, zooming in on particular areas of interest. This is an important advancement in the early detection of breast cancer. While a traditional flat image may fail to show abnormalities that are hidden behind other tissues, the three-dimensional image allows the radiologist to see what is behind structures that might otherwise block problem areas from view. This advanced technology has been shown to result in increased cancer detection—particularly in women with dense breasts—as well as fewer callbacks for additional testing. Iowa Radiology is designated by the American College of Radiology (ACR) as a Breast Imaging Center of Excellence. This signifies that we have earned accreditation in each of the ACR’s voluntary breast imaging programs, including breast ultrasound, breast MRI, and stereotactic and ultrasound-guided breast biopsy, in addition to the mandatory mammography accreditation program. As a Breast Imaging Center of Excellence, Iowa Radiology provides state-of-the-art breast cancer screening and diagnosis. To schedule your annual screening mammogram with Iowa Radiology, click the link below. "FDA Warns Thermography Should Not Be Used in Place of Mammography to Detect, Diagnose, or Screen for Breast Cancer: FDA Safety Communication." U.S. Food and Drug Administration, 25 Feb 2019. Accessed 13 March 2019. Friedewald, Rafferty, et al. "Breast Cancer Screening Using Tomosynthesis in Combination With Digital Mammography." JAMA. American Medical Association, 25 June 2014. Accessed 13 March 2019. Lund University. 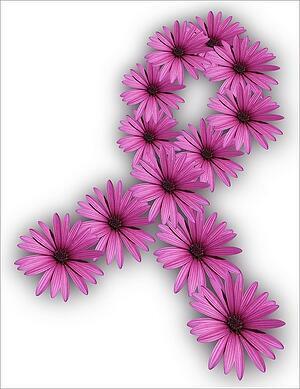 "3D mammography detected 34 percent more breast cancers in screening." Science Daily. 15 Oct 2018. Accessed 13 March 2019. Rafferty, Durand, Conant. "Breast Cancer Screening Using Tomosynthesis and Digital Mammography in Dense and Nondense Breasts." JAMA. American Medical Association, 26 April 2016. Accessed 13 March 2019. Skaane, Bandos, et al. "Comparison of Digital Mammography Alone and Digital Mammography Plus Tomosynthesis in a Population-based Screening Program." Radiology, 1 April 2013. Accessed 13 March 2019.